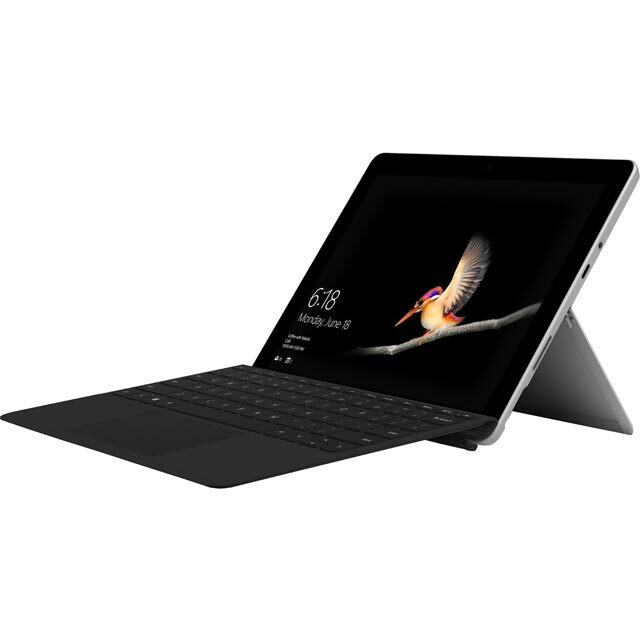 Get all the power of a Windows laptop in a stylish tablet with this Microsoft Surface Go. Taking sleek design cues from its bigger brothers, it weighs just 0.6kg making it ideal for taking out and about. The battery will last for a healthy 9 hours before needing to be recharged too. Whether you’re streaming video, tackling homework or even playing Minecraft, everything looks stunning on the crisp Full HD display, with touchscreen functionality making it even easier to use. 64GB flash storage gives you plenty of space to save all the essentials, while the Intel® Pentium® Gold processor and 4GB of RAM ensure that whatever you’re doing, the tablet still runs silky smooth. This bundle includes a platinum keyboard cover, so you can keep your new toy safe and sound wherever you take it, as well as answer emails, write notes and more with ease. Don’t forget to pick up an antivirus package to keep you safe online. * MHN-00002BUNPLAT was at the higher price between 20/01/2019 and 17/04/2019.